You see a map that shows territory of Russia. actual map of Ostrogozhsk for you. interesting map of Yevdakovo calibrated this. topographic map of Yarki 1 cm to 1 km for you. detailed map of Tkhorevka 1 cm to 1 km this. actual map of Timiryazevo with gps calibration for gps. topographic map of Shcherbakovo presented. interesting map of Selyavnoye for gps. interesting map of Rybnoye with gps calibration here. free map of Rybal'chino download for free. 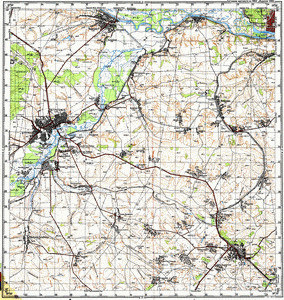 detailed map of Pukhovo calibrated free download. map of Prokopets free download. actual map of Pokrovka calibrated presented. free map of Petrenkovo и OziExplorer calibration for gps. topographic map of Peski calibrated for gps. actual map of Novaya Sotnya for you. interesting map of Misevo free download. actual map of Melakhino with gps calibration for gps.